Every single occasion I listen to this piece, I feel myself steadily descending into madness. One errant note at a time, I’m swirling into a crazed world of instruments playing out of range, rhythms that don’t make any logical sense, and seemingly no control whatsoever. Stravinsky has been called a genius. 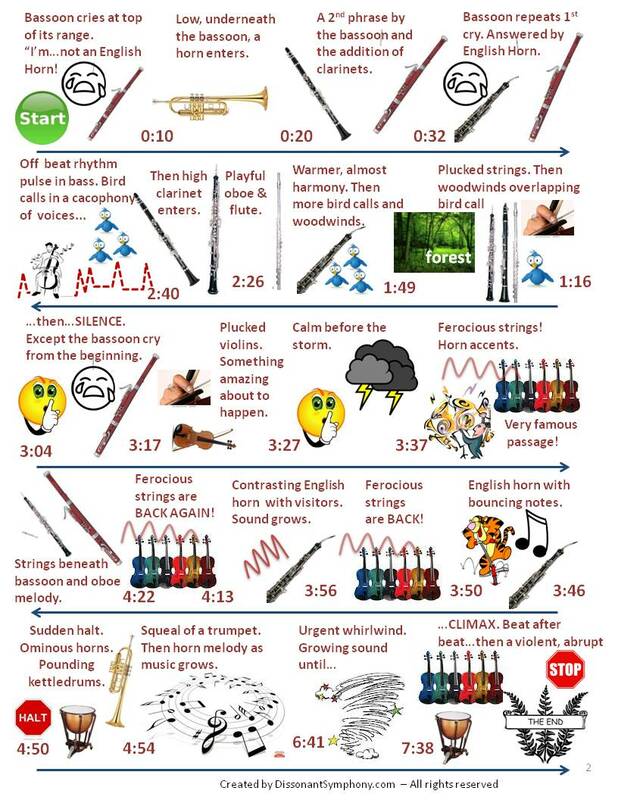 He is the father of modern music, and this piece is hugely important in breaking long-held “rules” of rhythm and instrumentality, but it also is a little nuts. So crazy in fact, it caused an actual riot when it was first performed in Paris on May 29, 1913. Gird your loins people. This piece is a wild ride. This landmark music has been immortalized by Disney’s Fantasia, the primeval world of the dinosaurs as the setting the lone bassoon opening and the frenzied strings represented in an epic battle between T-Rex and Stegosaurus. In a time when ballets were beautiful, graceful and elegant, Stravinsky’s Rite of Spring broke all the rules. Not just with the jarring rhythms, but also the jerky, broken limb movements of the dancers on stage. The crowd became so unruly, the musicians struggled to hear the conductor and fights broke out that the police could not contain. Stravinsky had to escape the theater to save himself from the violence his music spawned. I almost guarantee you won’t have a passive response to this music. You’ll either love everything about it, or want to gouge your ears out and set something on fire like the folks in Paris did at the opening. Listen with an open mind – recognizing that the thing we take most for granted in classical compositions (or any music really) is the presence of a predictable rhythm. When that expectation isn’t met, it’s as if the structure of a building has been removed, and without walls, everything is just falling down. It feels slightly chaotic, without meaning. It also stretches your ability to distinguish beauty and interest in something other than a melodic pattern. Here’s the music that exactly matches my listening map. 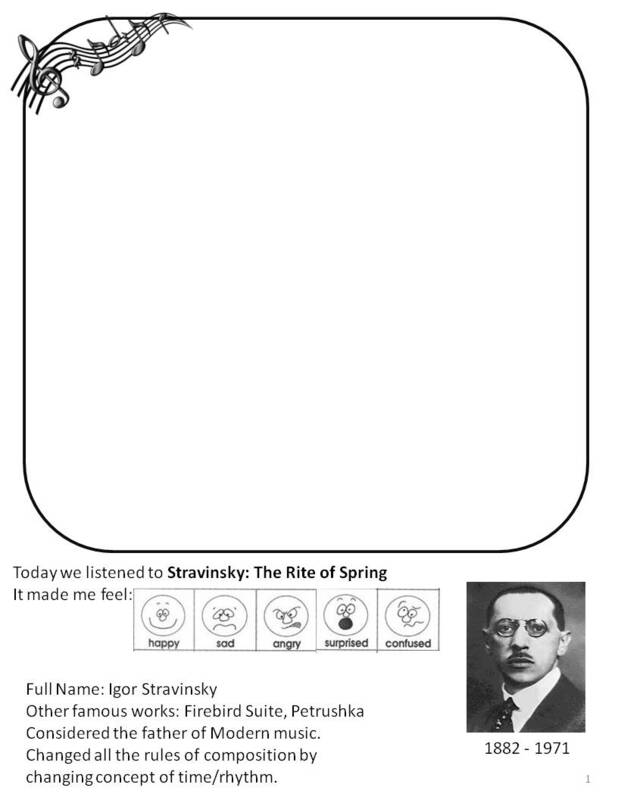 Here’s the printable listening map, coloring page and a short Stravinsky Bio + Lesson Plan for appreciating Rite of Spring. Happy Listening! Try not to start a riot!